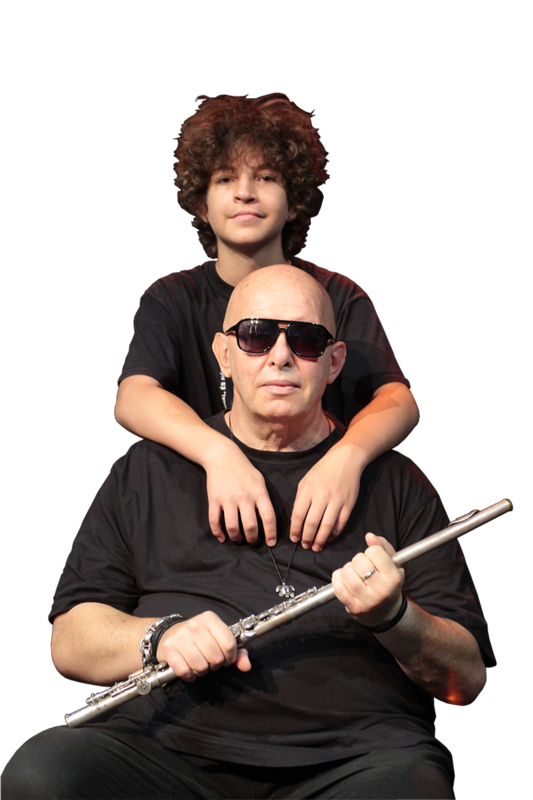 The whole story started on November 2015 when Ádám Török invited the young Ádi to play a gig with him and The Mini at the legendary Bem Rockpart. The young gutarist celebrated his 10th birthday just a couple of weeks earlier. It was an amazing and also a brave gesture from the old rock icon. Since then, they played together around 50 concerts (by the end of 2018). The little guitarist became an Ádám Török fan and started learning the famous Mini classics by himself. It was an enormeous honor when Ádám Török gave him the guitarist position of The Mini on summer of 2018. Ádám Török is always a supporter of young and talented musicians. After inviting the young Ádi during the last years, as a guest musician he decided to form a duo with him. The Török Fehér Duo caused serious surprise and had success in Hungary and also abroad. Their music is based on Rock and Blues, they interpret all time Rock and Blues classics and some Mini ballads in their very own way. Ádám Török is not only the master of Blues and Rock music but also master of creating incredible atmosphere on stage within minutes.